Impress your toughest customers with the finest in pork tenderloins from Chicago Meat Authority. From the appetizing color to the consistency of the trim, they make a great first impression - every time. We start with select, young pork loins and then custom bone to your specifications. This is the premium cut from the pork loin. It consistently is tender and lean to cut down on waste and provide the ease of handling. Each is individually vacuum packed. Inspections at every phase of production and greater attention to detail are part of our service. CMA can meet your special product requirements with" made to order" cuts or thorough custom processing You can also choose form a variety of versatile packaging options. Custom cut to exacting specifications from the prime rib, ribeye steaks have all the taste and texture of the greatest of steaks. Ribeyes are a great eating and a favorite for flavor and value. CMA steaks are cut from only the finest beef so you’ll be sure to please every diner every time. 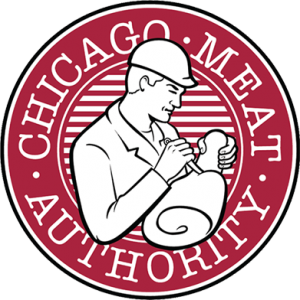 For quality products when you need them, Chicago Meat Authority is the name to know. Chicago Meat Authority offers you a full line of quality meat products — all trimmed and packed to the industry’s highest standards. Our skilled butchers cut to popular portion sizes or to your specifications, giving you leaner, higher-value products. CMA specializes in custom cuts for further processors and sells to the hotel, restaurant and institutional markets.